High-speed Charging, long-lasting, portable power. Enough power to keep you going for days. Charge an iPhone 6 seven times, a Galaxy S6 five times or even an iPad mini twice*. PowerCore 20100 utilizes market-leading battery cells to ensure that you receive the highest possible capacity, efficiency, reliability and safety. Your phone, cables and chargers will thank you. PowerCore 20100’s huge power is squeezed into a pocket-sized body that is ready to go anywhere you do. It’s the perfect partner whenever, and wherever you need to charge. 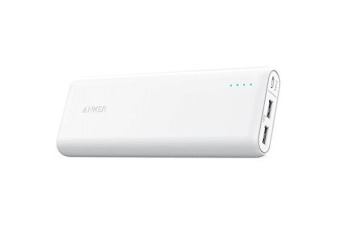 So satisfied with my Anker Power Core that I got one for my son&daughter and delighted at the speed it charges. Does what it claims it can do. Looks good. Neat unit. 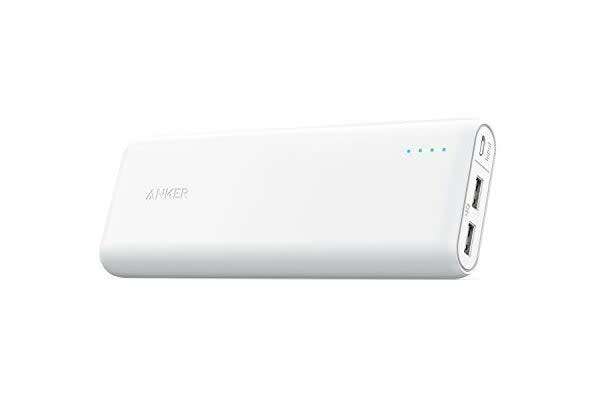 Ordered an Anker portable charger. Great product and performs as specified. Perfect. Exactly what i ordered and chargers my iPad which is what I got it for.